My daughter R started Primary One this year. At the beginning, it was exciting, she found most things enjoyable, and I was happy that she adjusted quickly to the environment and found it easy to make friends. 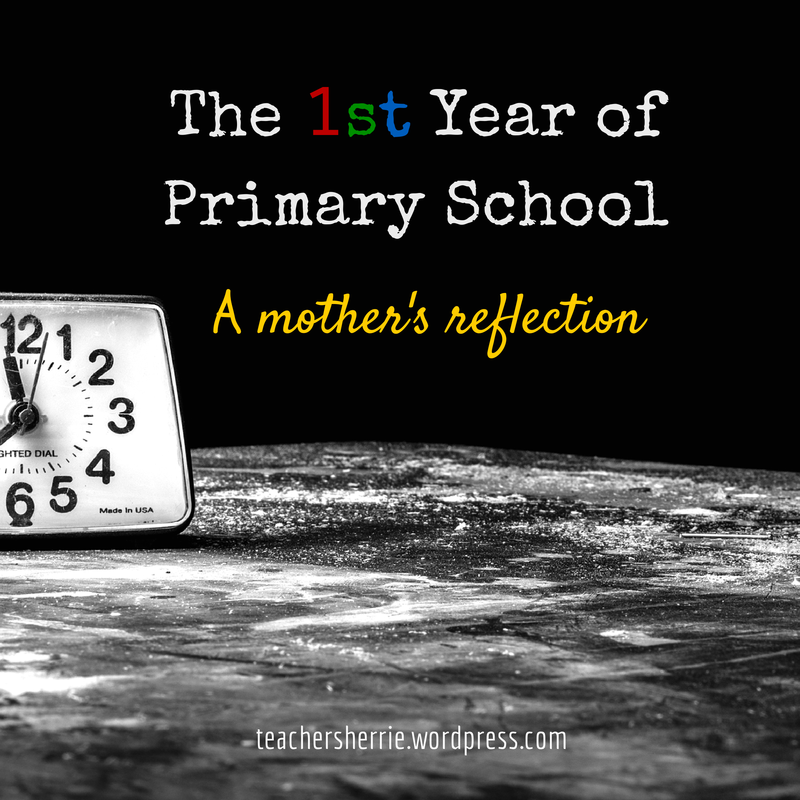 As the year wore on, however, the life of primary school unveiled itself to be a mixed bag of things – some good, some bad, some disappointing. R’s school is a government school but was founded by Christian missionaries and holds fast to values and principles which I grew up with and which I wanted my children to learn. There is a pastoral staff based in the school and students attend a weekly chapel session. R comes home singing songs she has learnt and I believe her Christian faith is strengthened because of such an environment. R’s school, despite its Christian background, attracts a mix of races and religions. Having non-Chinese and non-Christian friends has exposed her to cultural and religious differences which I hope will make her more sensitive to the needs of others. Recently, R’s Hindu classmate invited R and their classmates to her home for Deepavali celebrations. I’m glad R had fun and was able to interact with her classmates outside of school. R also found several activities in school to be fun, primarily activities that were sports and arts related. She enjoyed badminton and gymnastics sessions, Chinese dance, and speech and drama activities. My girl needs her space to move around and express herself. It’s important that the school has a non-academic programme to let students find and develop their talent. While I wish there was formal training available at the school for music and gymnastics, I know resources are limited and I’m grateful that there are Chinese Dance lessons which R faithfully attends each week. The weight of the many books – textbooks , workbooks, exercise books – all add up to a considerable burden for a 7-year-old. The haversack needs to be large enough to contain the books, sturdy enough so it doesn’t tear, and padded enough so it won’t hurt the shoulders and back. The main reason for the need to cart the books to and fro is that R’s classroom is shared with the morning session class (R is in the afternoon session – another contentious point). Plus the fact that there are no lockers for students to use. The school is in the midst of building extensions so that the school can go single session — in 2016. Not sure if there will be lockers or shelving space for books in the future but I hope there will be some alternatives to the book carrying routine. Weight aside, I wonder how well the books are used. What does my child do with the textbook during lessons? Does she flip the pages, close the book, and then move on to some activity in class? The textbooks have hardly any activities in them so how does the child interact with the book? Workbooks are, of course, more used to the point of pages being dog-eared. So why not just have a workbook? Can’t concepts be included in the workbooks? Wouldn’t that make the book worth its weight? Better yet, throw out the book. English has done away with textbooks and workbooks altogether, focusing on worksheets instead. So why not Chinese and Math? Worksheets are targeted, timely and thin! Do I already sound like a parent obsessed with grades? I don’t think I am, at least, I won’t use the term ‘obsessed’ but grades are a reflection of how much a student is able to prove what she knows at a given point in time. And at those given points in time called ‘tests’, R proved to be highly competent in English, somewhat average in Math, and hitting the bottom of the barrel in Chinese. I’m not so much disappointed in her results as I am that she did not reach her potential during those assessments. And to be honest, I am more disappointed in myself for not coaching her to be able to perform her best. Time was certainly a main factor. R is in the afternoon session, which means not having to wake up too early in the morning. By 8 am, R should be awake. By that time, I’m well on my way to work. She takes her time with breakfast and after that needs her TV fix for the day, for just 30 min or so. Between 9 to 10:30 am, she might do homework, learn spelling, or if there’s no school assignments, she might pop down to the playground or ride her bicycle. At 10:30 am, she starts to get ready to change into her school uniform, have an early lunch and leaves home around 11:30 am to report for school by 12:20 pm. At 6:30 pm, school ends and R reaches home around 7:20 pm. By that time, I have returned home from work and finished my dinner. After R washes up and has her dinner, there is a fairly unproductive 45 mins or so of doing homework and other things like learning spelling, doing a book review or whatever tasks scribbled in her pupil handbook. All this with the background noise of her two younger brothers clamouring for attention, and me nagging at R to focus on her work. By 9 pm, the kids need to be in bed, preferably asleep. By 9 pm, I need some time to myself, preferably in silence. By 9 pm, it’s late enough for all of us. Such is the daily routine, Monday to Friday. What about the weekend, you might ask? Don’t I send R for tuition, fill her waking hours with assessment books and makes sure that she’s primed for any test? I don’t. Sure there are assessment books, and there are more well used closer to tests, but I don’t have a tight schedule of formal learning for my child. I did try a few times, but they did not go down well with R. And I would much rather spend time taking her and her brothers to the library, or run around the playground. Ah, now I will change, you might think. Just look at her results – R needs tuition, doesn’t she, at least in Chinese? I’m not sure she does. I think I’ll take her to her to the library more often and encourage her to read more Chinese books. What about Math? She needs tuition for that. Everyone has tuition! R needs more focused attention in shorter spans of time, whether for Math, Chinese or English. And that’s what I’ll try to do. And hopefully without the distraction from her brothers. There will always be the good, the bad and the disappointing in many situations, life changing events and, of course, the long journey of parenting. My journey is on a rocky mountain path but I’m fixing my eyes on the summit – with plenty of lessons to learn along the way. 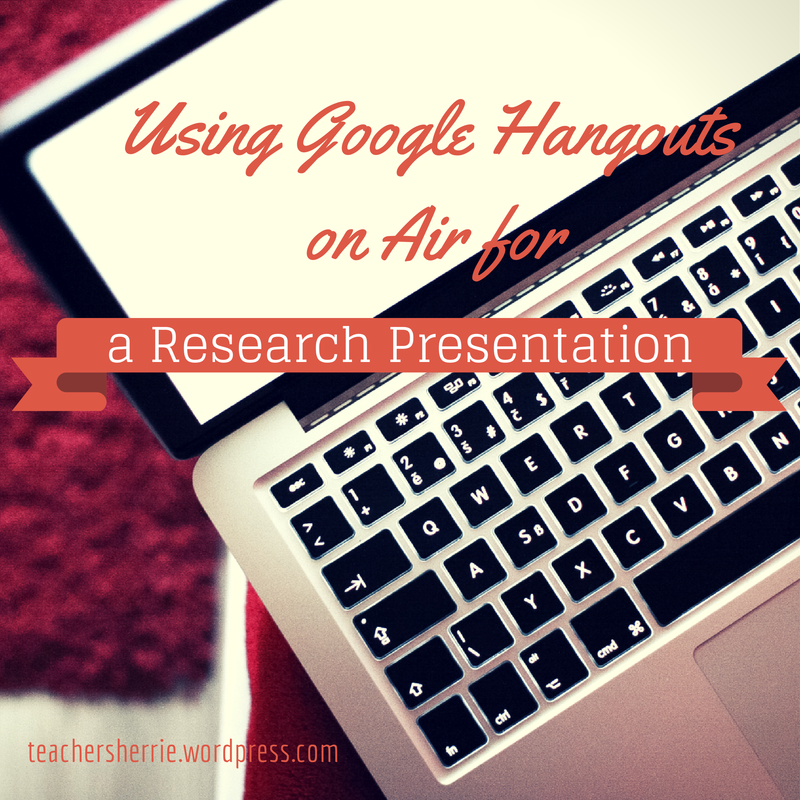 Although Google Hangouts on Air launched in May 2012, I only recently discovered it when I chanced upon a colleague’s live lecture while scanning my Google+ feed. And what I saw, I liked. Google Hangouts on Air (or HOA for short) broadcasts what happens in a Google Hangout session. In that session, you can choose to have a conversation with people you invite, work on Google docs, or what I thought was the most promising, conduct a presentation via screenshare. The live session is streamed via YouTube and that live stream is automatically saved as a video whenthe broadcast ends. Entering a name for your HOA generates a YouTube link for the live session in standby mode. Hitting the broadcast button makes the video ‘live’. However, if you open the page for the YouTube live session and record at the same time, you will get two sets of audio being recorded. So after checking that the YouTube link has been created, close the browser or tab. There are several options for screenshare – desktop and the various windows that are open. Although it may seem obvious to screenshare the particular application you are using for your presentation, that did not work for me – the slides did not appear to move as I clicked through them in presentation mode. What was more reliable was screensharing the desktop and then activating whichever application I wanted. A mic is necessary for the best sound input. Otherwise the sound quality in the video sounds muffled. The screenshare (using desktop) of my powerpoint presentation was exactly what I had on my desktop (presenter mode), but not on the projector screen (full screen mode). Using Microsoft Powerpoint 2013 meant that once the application detects a projector, it goes into presenter mode with the notes of the current slide and a preview of the subsequent slide show at the side of the screen. I didn’t like it but others thought it was cool. Note for future HOA: change the default presenter mode to full screen presentation. The mic I used was an arm attached to headphones and had a long wire so that I could move around with ease but stay connected to the laptop. While the long wire was helpful for movement, the awkward shape of an arm mic dangling from my neck resulted in inconsistent volume in the recording. I recorded both the presentation and the Q&A which meant a 58 min recording. 58 min is an overwhelming duration for a YouTube video clip. In fact, some friends gave feedback that the video would stall halfway through. Not sure if it’s because the recording is too long or it’s a technical glitch. Either way, I intend to edit the video to include just the presentation portion which would last about 30 min. HOA aside, I was also experimenting with the use of Padlet during the presentation for audience members to post their questions, comments, etc. As it was a live audience, I guess few were inclined to post anything since there was going to be a Q&A session immediately after the presentation. A friend who was keen to try out Padlet did a little more than post comments. He posted a related link as well as uploaded a few photos of my presentation to my Padlet wall. I wasn’t expecting photos but this turned out to be a neat way of capturing moments of an event. The best outcome of my presentation experiment was that the entire event was captured and archived. The YouTube video serves as a reference for me to reflect on how I could conduct a presentation more effectively, on how I could refine my thought process, and provides another avenue for me to share my research ideas with a broader audience. As long as HOA remains free, it will probably become the tool of choice among tech novices like myself to create (and archive) live presentations.